In this virtual world I have been lucky enough to have found a wonderful group of friends at Blogplicity ( A bloggers Facebook group). 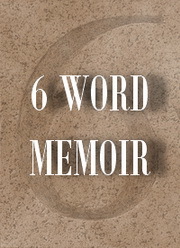 We have decided to take up 6 word memoirs as the topic for our blog hop. Laughed crazily . Loved madly. Lived joyfully. Now I will be passing on this baton to Jan Neel who has an inspiring blog @ Tumultuousjourney as we move on to read her memoirs. P.S: If any of you would want to join this group, please do let me know, Would love to have you there! Those 3 ls are actually the basis of my blogs. Hence I thgt nthing better than that to describe my life. Loved greatly! :) Super like! All the six words are meaningful. Loved how those six words blend together. We don't bond much, but I am very grateful that we belong to the same group. Lots of love Privy! Beautiful memoir. I wish it was mine. Awww Susan you just made my day with those words! Those are six great words, you guys are really setting the bar high. Thank u so much Martha!! Oh lovely - what a happy memoir. Yeah baby, that is the way to live. I love your memoir and I'm happy for you. It's truly the way we all should live! Yes you are right.. this is how we all should!